This all natural, DIY Vapor Rub recipe can be a lifesaver for anyone experiencing respiratory issues but especially for our little ones. Watch Mindy and Simone Anewalt of Natural Awakenings Magazine demonstrate how to throw together a super-easy jar of vapor rub using essential oils and coconut oil. Best of all this recipe is completely safe because it doesn't contain all of those toxic ingredients that the over the counter products do, such as camphor, turpentine, petrolatum, etc. For added confidence you are using essential oils safely for children and adults, dilute the following recipe as recommended in the essential oil dilution chart below and mix well in a small container with snug fitting lid. You can store in the refrigerator to ensure the mixture stays solid. Many parents, including myself, were drawn to essential oils to promote the health of their children. As you model healthy living, a greater balance between mind, body, and spirit will develop within your children. I can’t help but smile when I see the next generation of essential oil users at work. As we spark their interests in health, let us also be mindful of safety. We will focus on two oils: Peppermint and Eucalyptus. Peppermint’s main constituent is menthol, and Eucalyptus’s main constituent is 1,8 cineole. We need this review to help us understand why you may have heard to “avoid using Peppermint or Eucalyptus oils with young children.” When we take a critical eye to the data, we are reassured that our daily use of properly applied essential oils are the safe and healthful practice we intended them to be for our little ones. Of course, it is always a good safety practice to store essential oils out of reach of children. Menthol is found in Peppermint oil. Peppermint is safe to use aromatically. When using any essential oil topically on small children, you should consider dilution to prevent an intense skin sensation or irritation of sensitive skin. With Peppermint’s intense aroma, one should avoid application near the eyes and face of children. At the usual recommended amount per day, menthol-containing oils have an excellent safety profile. 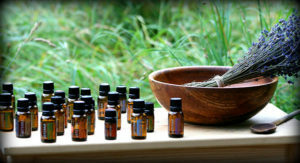 With exposure to massive amounts that are well beyond any normal usage range, Peppermint oil has demonstrated toxicity. If you have a medical condition and have questions about using essential oils, please seek out a health-care professional who understands your questions and needs. 1,8 cineole is the major constituent in Eucalyptus. It can be applied topically or aromatically. It is one of a few essential oils that is not recommended for internal use. For adults, neat (without dilution) application is acceptable. As with any essential oil topical application, to preserve the lasting effects of the oil and prevent flash-off or volatilization, one should consider dilution with a carrier oil (e.g. Fractioned Coconut Oil, etc.). For children or those with sensitive skin, moderate to heavy dilution is recommended. The reports of serious adverse events associated with Eucalyptus oil in scientific literature have always involved excessively large (> 5mL) amounts taken internally or placed directly into the nose. Of course, these excessive amounts are well beyond the normal usage range. Nonetheless, eucalyptus oil, like all oils, should be used cautiously with younger children. Keep in mind safe amount-per-day guidelines (Recommended Ideal Amounts). Avoid direct oil administration into the nose and ears, and around the eyes. When applying oils topically, consider dilution to avoid excessive flash-off. It is a good practice to use with heavier dilutions for younger or smaller children and those with sensitive skin. Keep your essential oils stored out of reach of little children to prevent accidental ingestion. Storage should also be away from excessive heat and light, as these can change the properties of the oils dramatically. Teach your older children to ask for help with application and ask your teens to be role models to the younger ones for proper essential oil usage. 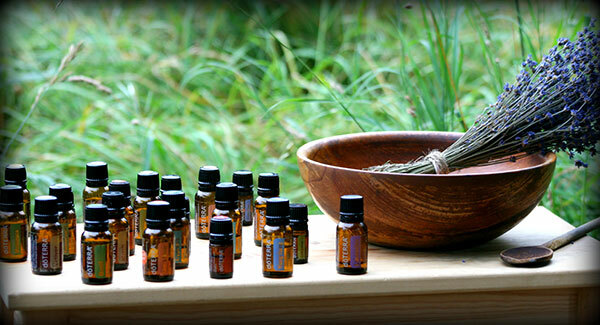 May your home be filled with safe, healthy habits of daily essential oil use. Sleep: The cool side of the pillow (Part 2) Copaiba Softgels Are Here!